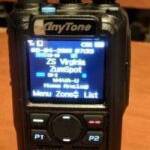 Digital Mobile Radio (DMR) is a fast growing segment of the Amateur Radio scene. This series of articles are a glimpse into my DMR adventure. There are plenty of ‘what is DMR’ sites around so we’ll skip over that part. This chapter will focus on changing the radio mindset from analog FM to DMR. 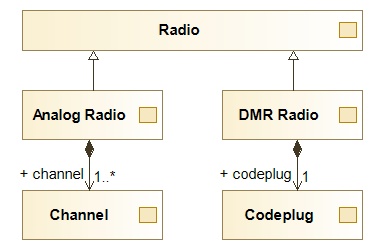 In other words, how to think about DMR radios coming from an analog radio background. Before diving into the details of DMR, a quick description of the included diagrams is required. The diagrams included below are captured in a systems modeling language called SysML, and are an attempt to help illustrate the concepts presented. These are Block Definition Diagrams (bdd) and represent the composition hierarchy of the model. Two relationships are demonstrated in the diagrams, generalization and composition. The empty triangle represents generalization. In this example, the Base Parent block is a generalized version of the Derived Parent. 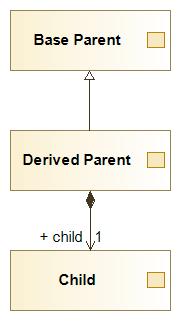 Looking at it from the other direction, the Derived Parent inherits all properties and extends Base Parent. This should feel familiar to software developers. The black diamond represents a composed of relationship. The Derived Parent is composed of Child. The number at the opposite end of the black diamond indicates the number of Child blocks that are possible. In this case there is 1, but it could be range such as 1..100 which means an implementation of Derived Parent may contain any quantity of Child elements between 1 and 100. Many Analog FM mobile and HT radios have one long sequential bank of channel memory to capture your favorite stations. This memory bank is accessed by entering specific memory locations via the keypad or by rotating a tuning knob. This memory can be configured via the radio directly or in some cases by software on your computer. 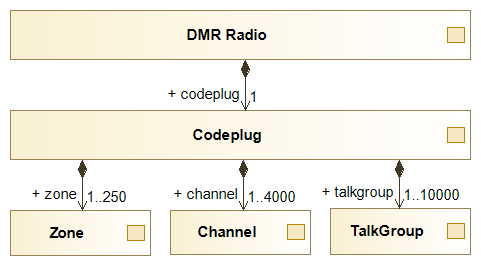 DMR radios use a very different methodology centered around what is referred to as the ‘codeplug’. 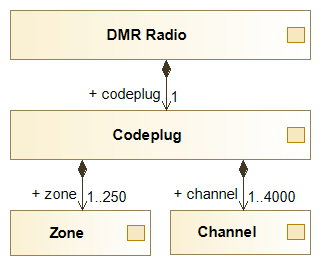 At its core, the codeplug is simply the configuration of settings and memory locations for the DMR radio. What is confusing for newcomers like myself, is the organization and types of memory locations plus how they are configured. It will feel foreign at first, but once you are familiar with approach, you will wish analog radios would adopt some of the features! Additionally, coming from DMR’s commercial heritage, many DMR radios are only configurable from computer software. Only recently have consumer oriented radios begun enabling direct handset programming. The first three terms we will cover are Zones, Channels and Talkgroups. Consider a Zone like a bank of analog memory channels. Each Zone is a sequential set of memory locations that are accessed very much like your analog stations. Rotate the tuning knob until you reach your desired station. If you reach the end, the bank will wrap and you’ll start over at the beginning. 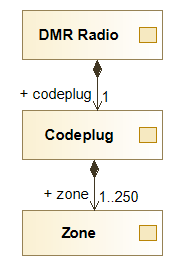 A DMR codeplug defines multiple Zones which are accessed via the keypad. This feature allows the user to group their stations into logical groups such as local hotspot, repeaters near home, and repeaters near work as examples. The number of Zones supported is quite high as well. My Anytone AT-D878UV can store up to 250 zones. In other words, the codeplug can define up to 250 different logical banks of memory stations. Once you get used to this, you will wish your analog FM radio would do the same! The next term is Channel. Channels are the closest relative to your single sequential analog FM memory bank. Each Channel, like the analog radio memory location, defines parameters such as frequencies, CTCSS codes, transmit power level, etc. Digital stations have a whole new set of parameters, but that is a discussion for another day. The codeplug defines a list of Channels which are the source material for the many Zones you are already formulating in your mind. A key feature is that Channels can appear in multiple zones. Consider a local analog zone, a local digital and a local mixed zone. Again, the number of channels supported is tremendous, in my case, that is 4000 channels. The final term for this discussion is Talkgroup, which may just be the greatest benefit of digital radio. The Talkgroup has no counterpart in analog radio. When you key up an analog FM repeater, there is one conversation. Any and all parties participate in the one conversation. Consider the idea that you want to segregate the conversation into multiple sub-conversations such as contesting, club activities and weather. Only parties that want to discuss weather would have their radio break squelch when those conversations were active. If other parties were discussing club activities, those interested in weather would be not be bothered. Talkgroups enable this to be accomplished. Each digital Channel configuration includes a Talkgroup number which defines a topic for discussion. When a digital Channel is keyed up, the Talkgroup is included in the transmission and provides the conversation identifier for all parties listening. Only those parties tuned to the same Talkgroup will be notified of the transmission. Just like Zones and Channels, my radio will accept up to 10,000 Talkgroups. By convention, most Talkgroups are geography centric such as country and state boundaries. But there nothing preventing the creation of additional Talkgroups given enough interest from the amateur radio community. In summary, Zones are segmented banks of Channels, Channels are frequencies, access codes and Talkgroups definitions, and Talkgroups define conversation topics. The next article will continue to breakdown the Codeplug and expand on Stations, TalkGroups and how the different elements fit together. About the Author: Richard Ferguson, K3FRG, is a recent addition to Amatuer Radio community receiving his first licence is January of 2018. He has since earned his Extra class license and is fully engaged in many aspects of the radio hobby including contesting, antenna construction, APRS, and utility development. In his professional career, Richard is a Systems Engineer with 20 years of experience in embedded systems and ASIC design and manufacturing. He can be contacted via email on qrz.com.